Congratulations! Your interest in Hydroculture has opened the door to a new and exciting way of successful plant care and lush growth with beautiful flowers. This will be done with much less effort on your part and will eliminate all guessing as to when to water and how much to water and feed your plants. 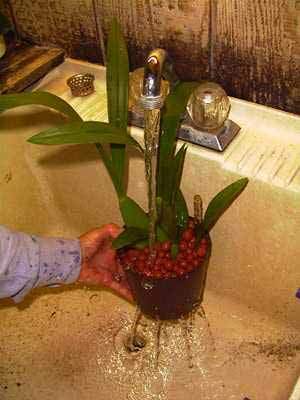 The results will be very rewarding with much less plant maintenance. 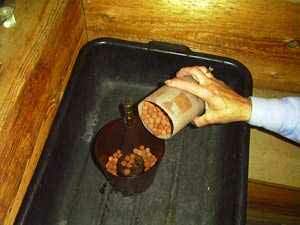 -A plastic outer pot that is water tight and will hold the nutrient solution. 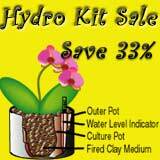 -A culture pot that is the heart of the hydro system and fits neatly inside the outer pot.. The culture pot is of special design. 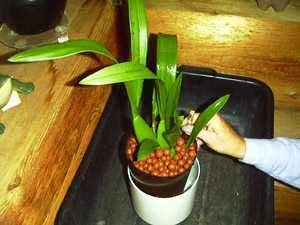 It has a concave bottom so only the outer portion of the pot makes contact with the outer pot and the nutrient solution. The culture pot has slits all around the lower portion of the pot for maximum air flow through the growing medium and root zone. -The growing medium is a high fired terra cotta which provides support, oxygen and capillary action to move the nutrient evenly throughout the roots. This medium is called Leca. 1. Using your kitchen colander or strainer, rinse the Leca under running tap water. This will remove any dust caused by handling and shipping. 2. 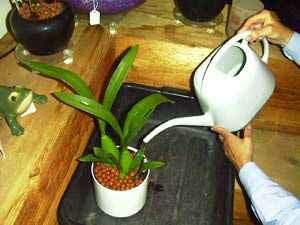 Remove the plant selected for conversion from its pot. 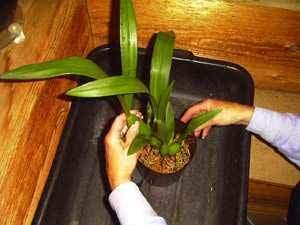 It is best if the growing medium of the selected plant is dry rather than moist. 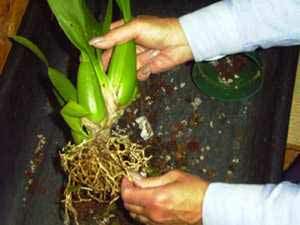 3.Gently crumble away the loose media surrounding the root system. 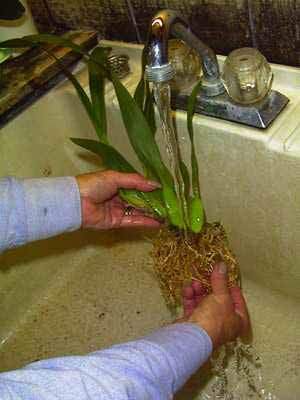 4.Rinse the roots thoroughly under tepid running water. Be sure the roots are completely clean. Remove any dead or unhealthy roots. Always trim the roots with a sterile scissors or a single edged razor that has not been used before. 5. Pour about one inch of Leca into the bottom of the empty culture pot. .
6. Place the plant into the culture pot and distribute the root system evenly across the Leca. Slowly add the remaining Leca around the roots to within 1/4" of the top of the pot. Gently tap the sides of the pot to settle the Leca in place. 7. Rinse with tepid water. 9. Mix the nutrient solution as per packet directions. Pour the nutrient into the pebbles next to the water level indicator. Pour slowly until the indicator reads half way between "min" and "opt". Remember, fill again when dry - not before. 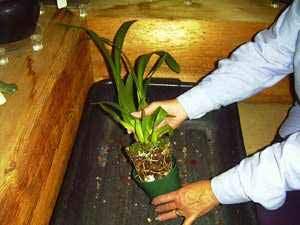 Most established orchids can remain dry for several days as moisture is held in the pebbles. Tip the entire hydro planter toward the indicator. If the indicator does not move then it is time to water again.